Anders Behring Breivik, convicted of killing 77 people in a 2011 mass shooting and bombing in Norway, has been cleared to enroll in three political sciences courses at the University of Oslo. The university’s university’s rector explains the decision to grant Breivik access in The Guardian. “Having been admitted to study political science, Breivik will have to read about democracy and justice, and about how pluralism and respect for individual human rights, protection of minorities and fundamental freedoms have been instrumental for the historical development of modern Europe. Under Norwegian law, inmates have the right to employment or education. Initially, when Breivik applied to the University, there was a huge outcry from victims’ families and university professors who disapproved of his application and the University of Oslo originally denied his enrollment because he had not completed high school. Now, according to a Norwegian newspaper, Breivik will receive materials to study political theory, international politics, and public policy and administration. 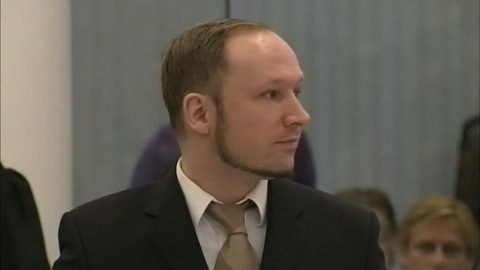 Breivik will study independently and submit all work from prison, having no interaction with university professors. He will not receive an academic degree, but he will be eligible for credit if he receives a passing grade.